Two inches of American oak are all that lie between you and the bottom of the sea. Just five inches of sharpened iron protect you from the crush of a behemoth’s tail. Only the sixteen other humans floating with you on a wooden speck in the sea keep you from going mad… or can they? 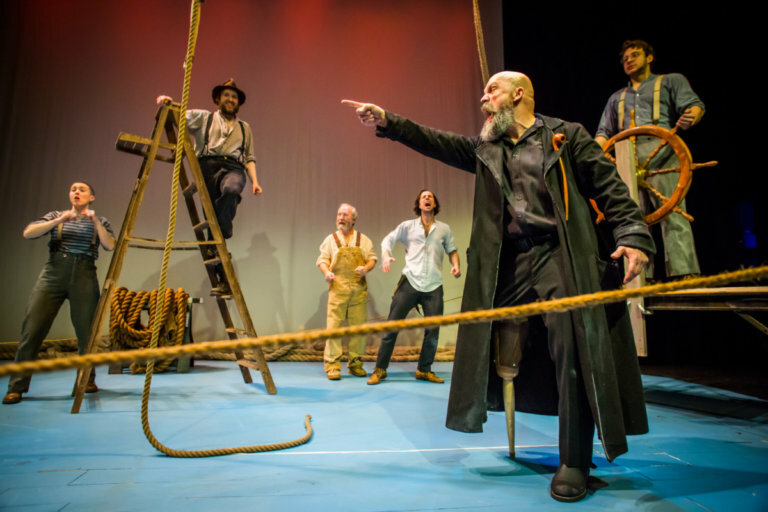 Eight actors and a few objects create Melville’s world of ships and taverns and storms and coffins. What will you find there? Brotherhood? Madness? Purpose? All of these. And more. Pity Ahab. Pity Starbuck. Pity them all.